Historians have observed that if the American Writing Machine Company had been successful with the Caligrpah, we wouldn’t be collecting typewriters. We’d be collecting caligraphs. Only, I’m not persuaded. The Caligraph may well have been good invention, but it was not ideal. Throughout the 1800s, inventors advanced hundreds of designs for mechanical writing machines, and some were quite exceptional. Consider the Hansen Writing Ball, which preceded the Type Writer by a few years. The Writing Ball was well made, but not so well designed as to establish itself as the market leader. Instead, the simplicity and functionality of the Sholes & Glidden, with QWERTY keyboard, dominated the field. The Caligraph and Writing Ball were close seconds. If only the Caligraph could have realized those claims. From the Daily Pacific Commercial Advertiser (Honolulu, Hawaii), Dec. 4, 1893. 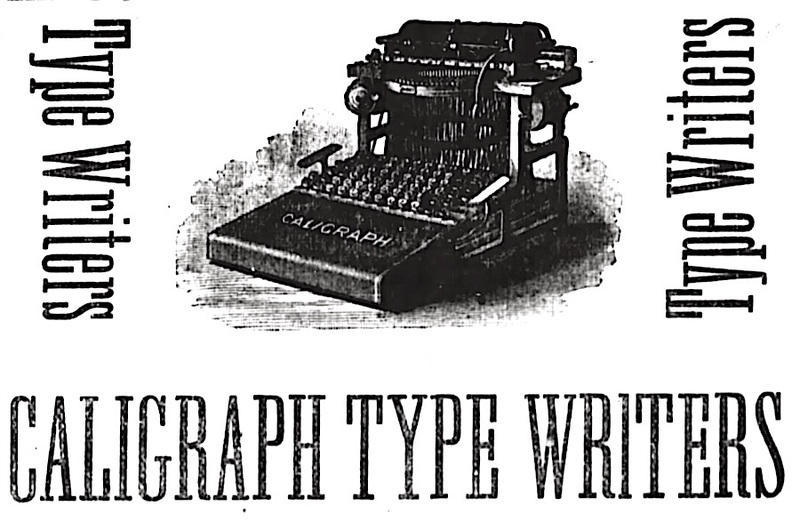 Postscript: By 1887, the “Type Writer” was so dominant that even the Caligraph became a “type writer,” as in the image at the top of this post, from an advertisement in the Dallas Daily Herald (Dallas, Texas), June 29, 1887. I think the Writing Ball was made with such craftsmanship and precision that it almost can’t be called a mass-produced item, and it was quite expensive. A good observation. The Writing Ball was certainly acclaimed, but not at all a machine that could be mass produced. The Sholes and Glidden combined all the best elements of mechanical writing machines into a profoundly practicable mass-produced item. Next post: God Bless Us, Every One! Previous post: What typewriter is this?